This pocket-sized devotional book comprises a compilation of 365 reflections taken from Every Day With Jesus. Daily readings are drawn from past issues Each day has a specific focus and relevant Bible reading from which a key verse is highlighted, a meditation on the reading by Selwyn Hughes and a prayer. 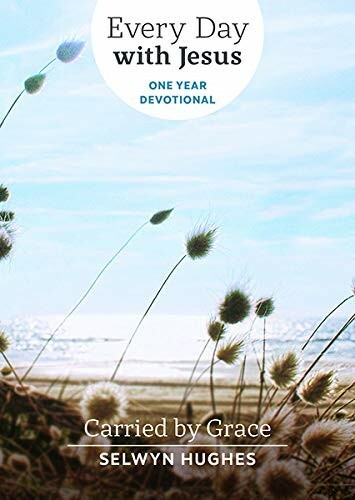 Presented in paperback and attractively laid out with a page per day, Carried By Grace is one of a series of pocket devotionals using meditations from Every Day With Jesus. It is an ideal book to travel with or to give to a friend or family member as a gift.